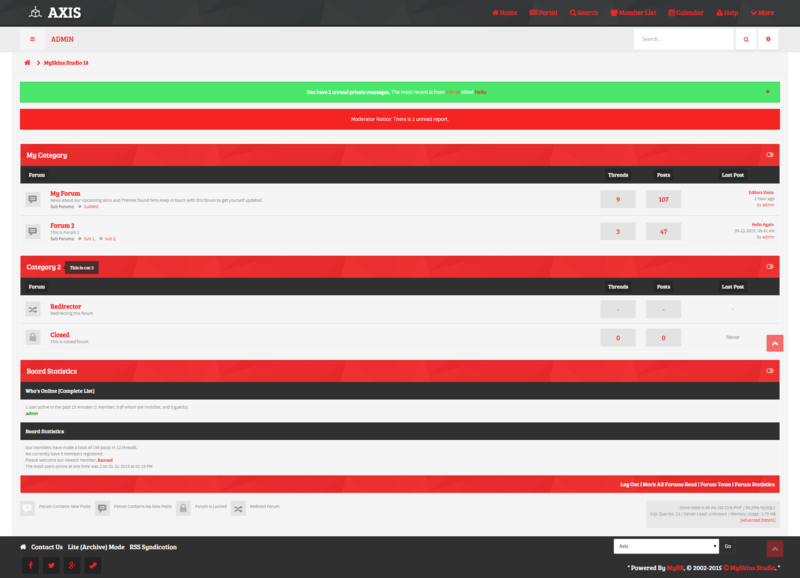 We from MySkins Studio bring you the most Elegant Free theme for MyBB 1.8x Series "AXIS". 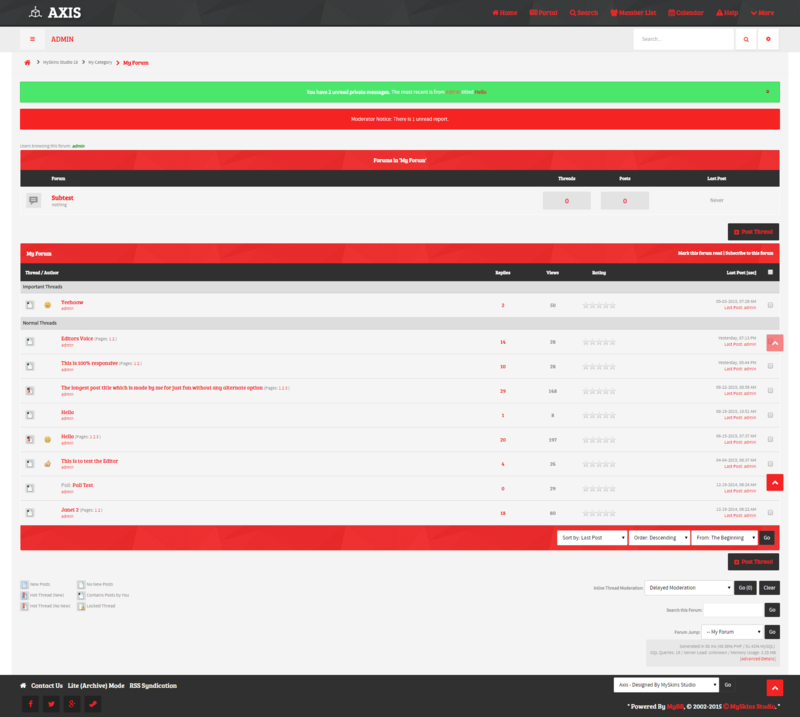 Its been long time since we have released a free theme for MyBB 1.8x after our last epitome 18myskins, and hence we have decided to contribute a small token for all our beloved MyBB users in here and thus we made a beautiful theme called "Axis". 1. Clean Flat Modern design. 4. Tabbed Profiles , Dropdown Menu's etc. 5. Custom Fonts and Icon Fonts. The theme is free to download and has custom License from MySKins Studio. The theme also includes Documentation which includes the basic edits of the theme and help about installation of the theme. 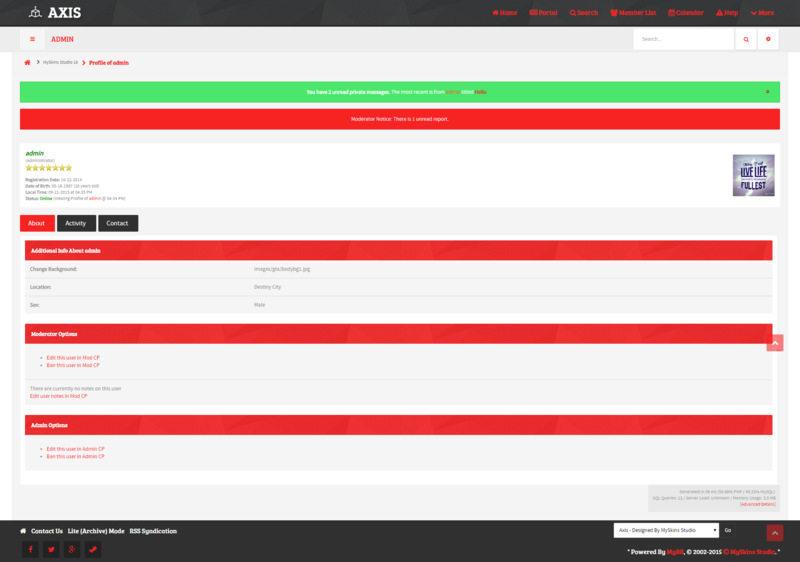 Thanks to MyBB Community and Team for providing such an awesome Script. We at MySkins Studio aim bring you fantastic themes as always. Please do visit us and keep checking for latest theme releases. P.S We have a beautiful Premium theme which is about to be released soon, Visit us for more info at our site. Now this theme is truly stunning, amazing! 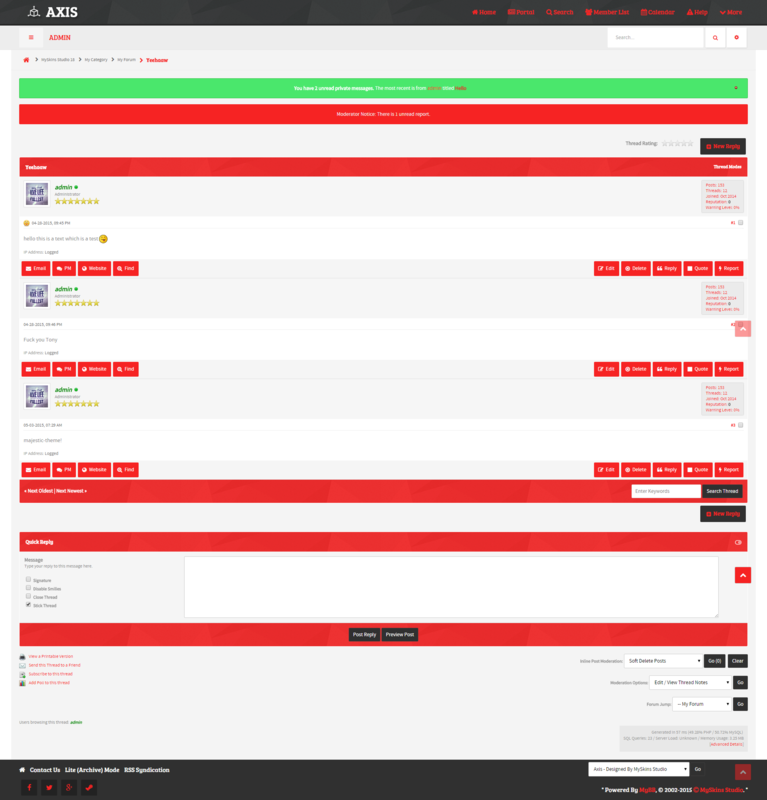 (09-21-2015, 08:30 PM)Redcap Wrote: Now this theme is truly stunning, amazing! Thank you for the feedback buddy. We would bring forth more Amazing themes with support of you guys. (09-22-2015, 09:10 AM)zukro Wrote: very nice!!! throw some media queries on menu, hide forum descriptions, and we can call it responsive theme right? How about the classic post bit? could you post the screenshot? Hmm... Why does the fa-cog icon lead to the search page? That doesn't make any sense, since a cogwheel implies settings or configuration. how to add the css button for thanks plugin ?? I can't see the theme neither in approved themes, nor in themes awaiting approval. Please submit it to the mods site, which is a requirement for opening a topic in this forum.